It seems as though everyone’s gone crazy for rose gold – All black rose gold everything! 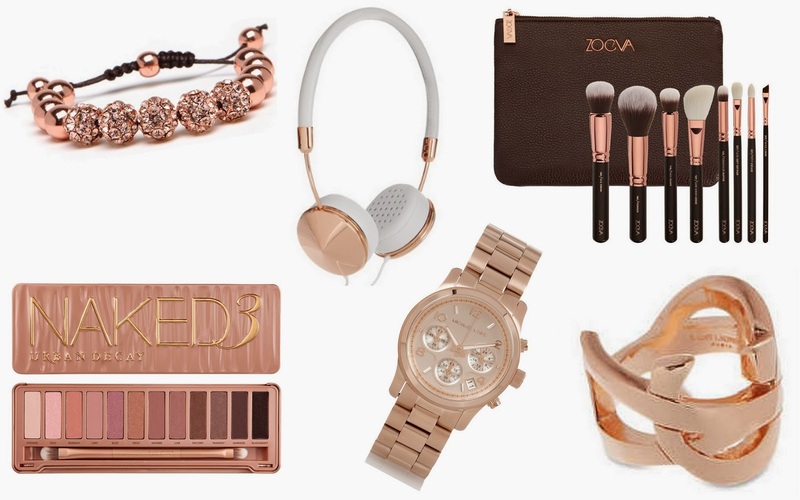 Here are TBB’s top picks of the rose gold items you need in your life. Baublebar Disco Wrap Bracelet – This was part of YouTube extraordinaire and beauty guru Ingrid Nelson’s Guest Bartender collection at Baublebar. All of her jewellery pieces were gorgeous but this sparkly rose gold number seems like the way to go this season and won’t leave your purse strings weeping. Urban Decay Naked 3 Palette – No one can argue that this entire palette featuring multiple hues of pink and rose gold is absolutely stunning. It’s perfect for all skin tones and would make a mouth-watering addition to anyone’s Muji makeup storage on their vanity table. Zoeva Rose Gold Luxury Brush Set – As soon as I laid eyes on this exquisite brush set I knew I had to have it! The rose gold and black handles are a sophisticated combination and these 8 brushes like all Zoeva brushes are impeccable quality and will look ever so pretty on your dressing table. I also love the travel case that comes with the set. Frends Layla Headphones – These gorgeous white leather and rose gold headphones are all the rage this season. Forget Beats By Dre – It’s time to get involved with these stunning Frends headphones. Michael Kors Chronograph Watch – Michael Kors are to mid-price watches what Louis Vuitton are to travel accessories. The rose gold chronograph watch has blown up in the last few years and become an essential for most 20-something girls around the world. If you’re to have only one rose gold accessory in your wardrobe, it’s got to be this. Saint Laurent Monogramme Ring – Bye bye YSL Arty rings and hello to this stunning rose gold piece! It’s designed in the shape of the infamous YSL logo but still looks sophisticated and not as garish as the Arty rings. If you’ve got cash to splash then this is one for the new season.